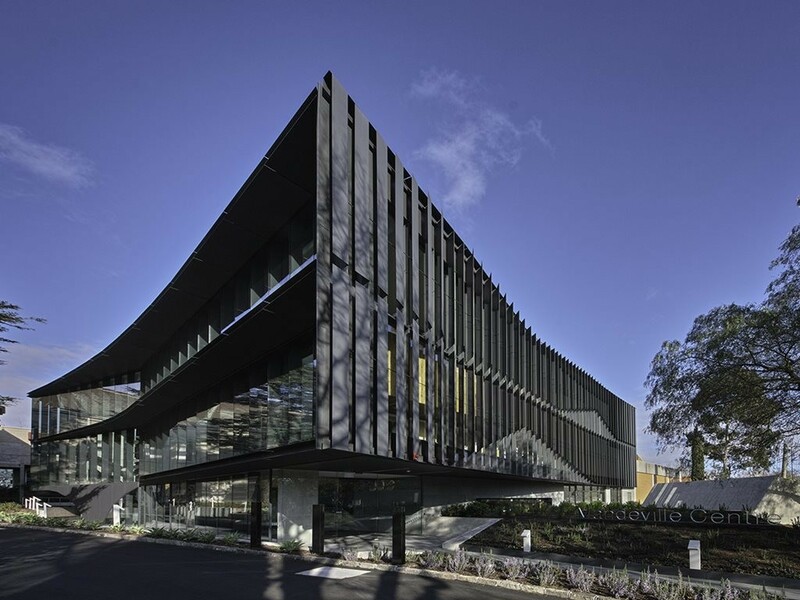 Yesterday Architectus scored the World Architecture News Education Award, along with a string of accolades and platitudes for its design of the Mandeville Centre at Loreto Mandeville Hall Toorak. Architectus' Matthew Smith and Paulo Sampaio joined architects and designers behind some of the world's best projects at a gala event held in London where the Mandeville Centre was commended by the WAN Awards jury as "a brave response to an education building. The jury also noted that the "elegant and rigorous approach to the design, beautifully articulated and detailed with a bold choice of materials." "It is so gratifying to receive WAN's recognition for a project that we are all so passionate about. The building provides a fitting counterpoint to its heritage setting and it is rewarding to see how the simple pinwheel arrangement of classrooms, arranged around the central library, encourages interaction between students and staff," says Architectus principal, John Sprunt. Architectus managing director Ray Brown says the firm was proud to be acknowledged as a leader in the education sector. "We are incredibly pleased that our expertise in creating exceptional learning and teaching environments has been recognised on the world stage." "We cannot remember life without the Mandeville Centre; this is a place that inspires learning and we are all very proud of what we have achieved," says Dr Susan Stevens, principal, Mandeville Hall Loreto Toorak.